Researchers may have discovered the origins of Earth’s oldest crystals. It turns out that they may have formed within impact craters. 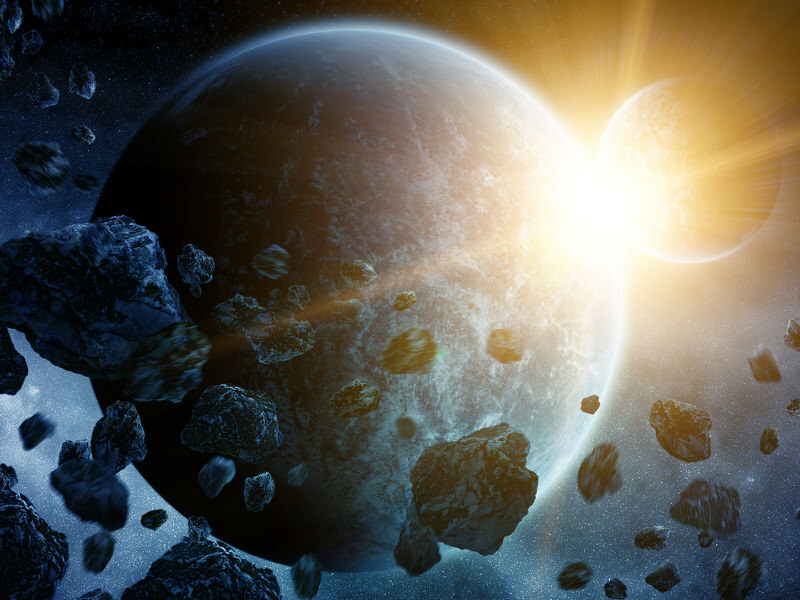 According to a new study in the journal Geology, the oldest bits of rock on Earth, zircon crystals, probably formed when asteroids slammed in to our young planet, as opposed to from plate tectonics as was posited by other theories. Naturally then, the origin of these crystals, which are approximately the width of a human hair and more than four billion years old (the Earth being just over four and a half billion years old), has become a matter of major debate. Fifteen years ago these crystals first made headlines when they revealed the presence of water on the surface of the Earth (thought to be a key ingredient for the origin of life) when they were forming. However, current evidence suggests that plate tectonics – as we know it today – was not occurring on the early Earth. So, the question remained: Where did the crystals come from? Kenny recently travelled to the annual Lunar and Planetary Science Conference (LPSC) in Houston, Texas, to present these findings to the space science community.